Rewards Canada: Nov 6 Update: Save 10% on Hyatt Gift Cards, free Wi-Fi on Emirates, WestJet to offer lower fares? Nov 6 Update: Save 10% on Hyatt Gift Cards, free Wi-Fi on Emirates, WestJet to offer lower fares? On most Emirates flights equipped with Wi-Fi, passengers enjoy the first 10MBs of data for free, which is sufficient for most travelers to check in on their social media accounts. Subsequently, a token US$1 charge is imposed for the next 600MB. 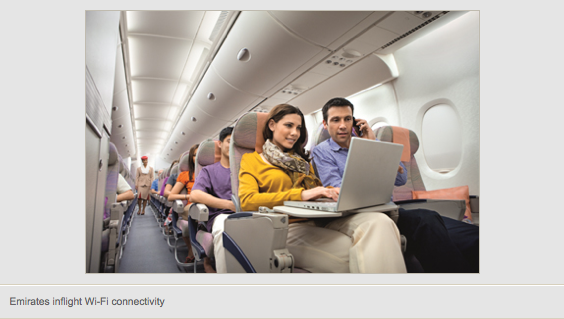 Emirates is updating its software programming to eventually enable passengers to have unlimited free access to Wi-Fi. WestJet is apparently going to be lowering fares on select routes since they now charge for all checked bags. The price drop won't be as much as the bag fees as of course they want to be revenue positive and make money on the move. Our question to our readers is have you noticed any changes in their pricing? Has it dropped on your most frequent routes or travels? Let us know by commenting below! 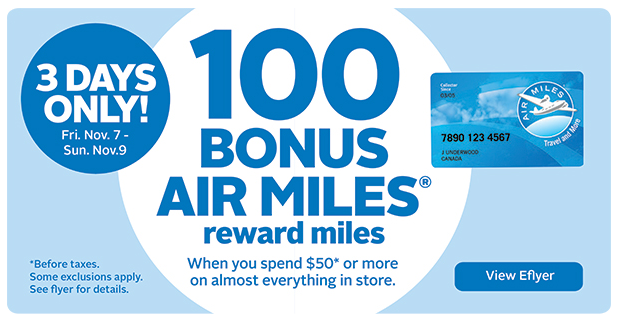 Once again you can 100 bonus Air Miles for spending $50 or more at Rexall on the weekend. Another short term bonus, earn 3x Aeroplan Miles on Home Hardware purchases until November 15. Find out more here. Hyatt is once again offering 10% off their Gift Cards. This can be a good way to save additional money on any of your Hyatt stays! Simply use promo code GPGIFT14 when you buy them online. Offer is good until December 31st.